The Cuisinart HM-50PK is a Power Advantage® 5-speed hand mixer which easily mixes even the heaviest ingredients with ease. The mixer can switch from dense cookie dough to whipped cream with just one touch to the slide control. This powerful motor with automatic feedback can perform any mixing task your recipes require. The Cuisinart Hand Mixer has many exciting features for users of all types. 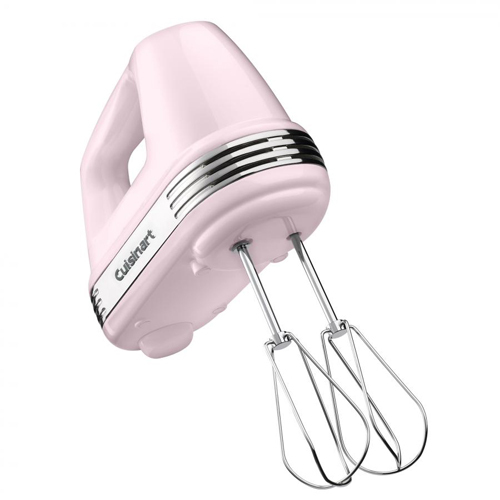 You can extend the lifetime of your Cuisinart Hand Mixer with the purchase of a FactoryOutletStore Factory Protection Plan. 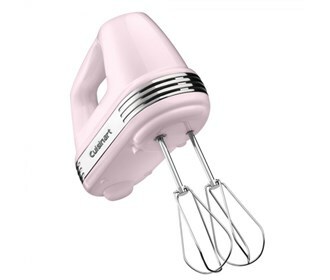 See the Cuisinart Hand Mixer gallery images above for more product views. The Cuisinart Hand Mixer is sold as a Brand New Unopened Item.